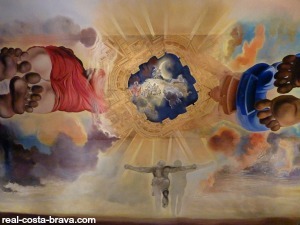 The Dali Museum in Figueres houses a large part of the surrealist painter Salvador Dali’s work (approx 4,000 pieces). The museum is the second most visited museum in Catalonia, receiving around a million visitors a year! “I am a theatrical painter, I was baptised in the church opposite the theatre and it was in the foyer of this theatre that I held my first exhibition”. 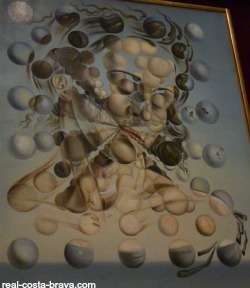 Whether you are a massive art lover or not, the Dali Museum is really interesting. Dali is probably the most iconic Catalonian, certainly the craziest, and a visit to the Costa Brava isn’t complete without some sort of introduction to the man himself. The museum contains a lot of different types of art, from paintings to sculptures to holograms to jewellery. But it is quite mad...the cadillac (that rains inside) and the three dimensional Mae West room are just some of the madness that goes on in there. Word of warning...quite a lot of Dali’s work has a sexual theme to it and so you might not want to take children there (you would be setting yourself up for a lot of awkward questions). Dali is supposedly buried in a crypt underneath the museum. He died in 1989. 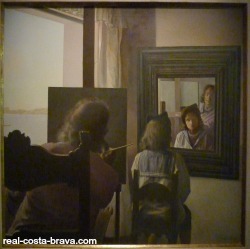 There is also artwork at the museum from other well known artists, such as El Greco, Bouguereau and Duchamp. For more information and details of opening hours and entrance prices please visit the Dali Theatre Museum website.